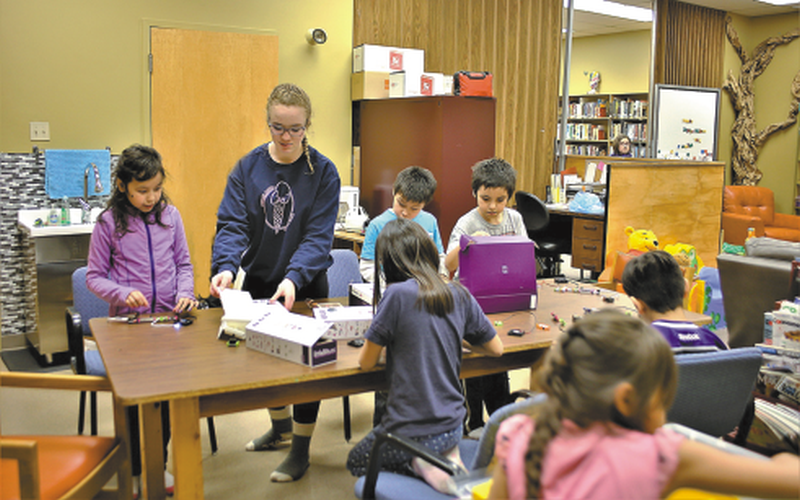 Abby Doris, second from left, coordinating McLennan Library’s “After School Program,” January 24. The McLennan Municipal Library’s “After School Program,” has become increasingly popular with kids ages 6 to 11 years old. The After School Program takes place on Mondays and Thursday from 4pm to 5pm and the activities, which vary at each session include Legendary Lego, board games, Coding Ninjas, Little Bits and Maker Madness. McLennan Library February 2019 calendar is now available. The schedule is similar to January with some small changes such as the Library will be closed on Family Day, Monday February 18. Parent Link sessions will take place on Tuesday February 5 and February 19 at the regular time from 10.30 to 11.30am. Seniors coding takes place on Wednesdays February 6 and 20th, from 1.30 to 2.30pm. For more information regarding programs and resources at McLennan Municipal Library, call (780) 324-3767.